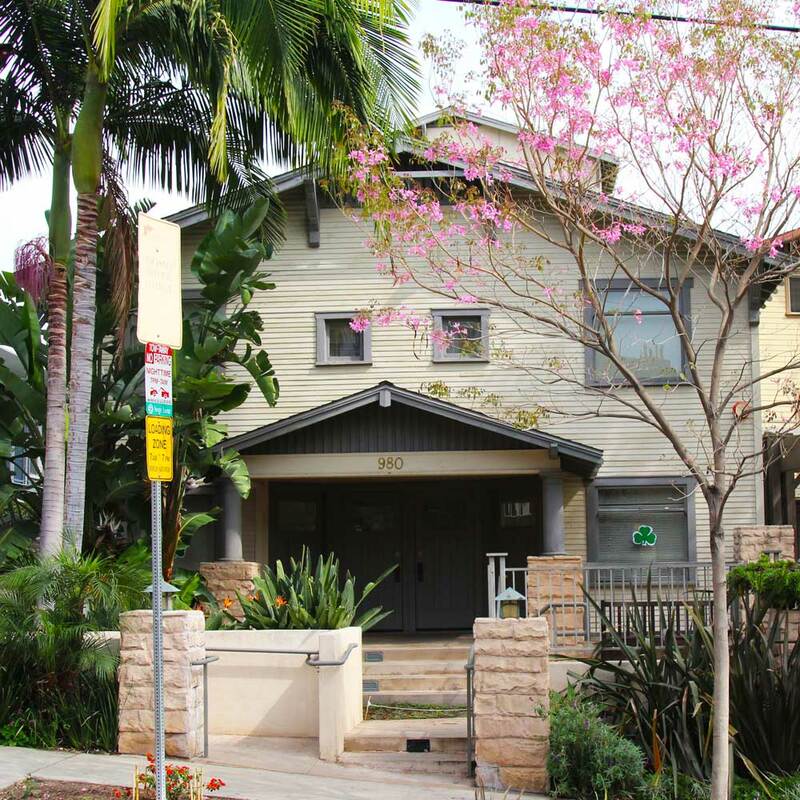 The bungalow at 986-988 Palm Avenue, now part of 980 Palm Avenue, is a contributor to the Craftsman District. The Craftsman bungalow replaced the hip-roofed cottage as the housing type of preference in West Hollywood in the early 1910s. The Craftsman style of architecture is characterized by simplified detailing and exposed structure elements. Structures elaborated in this style, incorporate such elements as gabled roofs, with overhanging eaves, exposed rafters and purlins, and paired porch supports. Craftsman structures still exist throughout West Hollywood, with the largest concentration encompassing the area along North Hancock Avenue and North Palm Avenue. The majority of these homes were built in the area between 1910 and 1925 when the Town of Sherman began to expand. Beginning at the turn of the century, the Sherman community was composed of working and middle-class individuals whose needs were well served by Craftsman homes. Craftsman bungalows were “democratic homes,” designed for comfort and efficiency, easy to erect, and available at an affordable cost.